Mosman streets will be enlivened by the creation of new pop-up sculptures, installations and performances. Throughout the Festival, a new work will be created daily in a variety of locations. 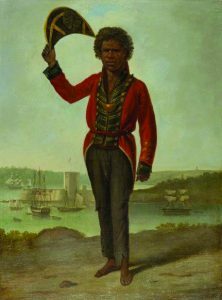 One of the most famous past residents of Mosman was the Aboriginal leader, Bungaree. Famed for his flamboyance, sense of humour and his wearing the discarded coat of the Governor of the day, Bungaree was given land to farm on what is now Georges Heights. Actor Billy MacPherson will take on the persona of Bungaree as he greets the community at the Freedom of Entry Parade and various sites around Mosman including Balmoral Beach, Mosman Art Gallery, the Spit and shops on Spofforth Street and Military Road. When: 7:00 – 7:30pm (screened before the Lego Movie). 2017 marks the 70th year of the Mosman Art Prize – one of the major art prizes in Australia. 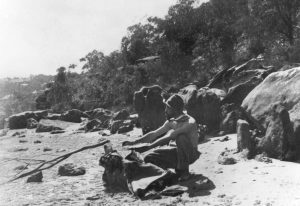 Witness a history of Australian art on the big screen as we project images of all winners from 2017 back to Margaret Olley in 1947. 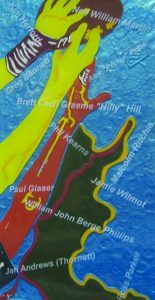 Drop in to see the names of the sporting stars of Mosman displayed as part of a permanently relocated public art piece by artist Warren Langley. Meet a practicing artist (Haydyn Wilson) following in the steps of the artists from the famous Curlew Camp at Mosman. The artist will be working plein-air at the site of the Curlew Camp – drop in anytime between 10am – 2pm. 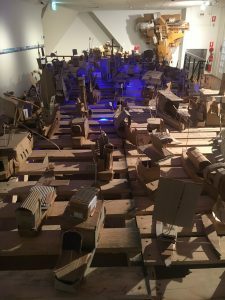 Join us for a participatory event where hundreds of cardboard boats, originally made for the Art Gallery’s HALO exhibition, will be compacted and baled together, in keeping with the recycling theme of the original exhibition. The process will be filmed and shown at a later date as part of the Art Gallery’s contemporary art program. The Moment Under The Moment is a site specific sound installation and composition created for the underground Tiger Cages site in Middle Head National Park. Spread across ten channels that visitors first experience as they walk through the sandstone entranceway tunnel and into the main space with voices and musical parts dividing the interior into a walkthrough composition. 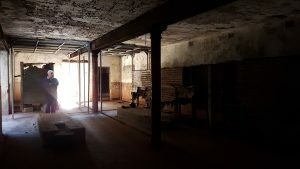 The installation responds to the evocative site and its various historical references as a theatre for investigating the shifting nature of illusion and actuality in our perception of the real. Equal parts a representation of Plato’s Cave, an elliptical radio play and a chamber opera inside a ready made set. Preview sessions include artist talk and walk through of the historic Tiger Cages. Please note: access to the site requires participants to be able to walk freely and be able to use stairs. 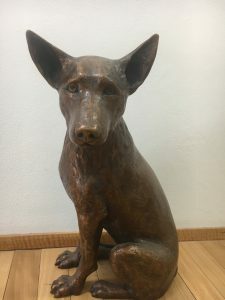 Meet Alinta – a bronze sculpture of a kelpie (looking for a new home). 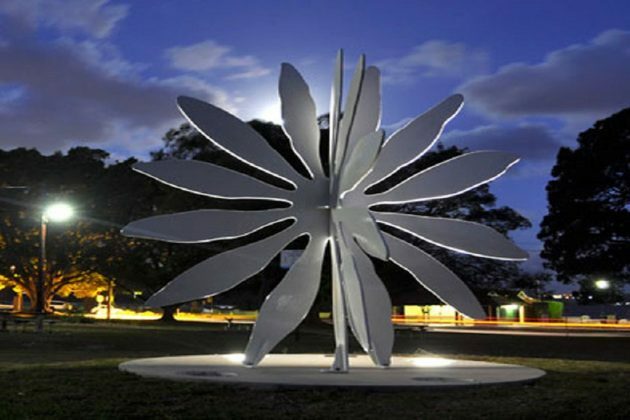 Sculpted by local artist, Helen Alajajian, Alinta has been donated by Ingrid Kaiser (in memory of Don Seaton) to be located in a local park in Mosman. This is a chance to have your say in which park the sculpture should be best located.